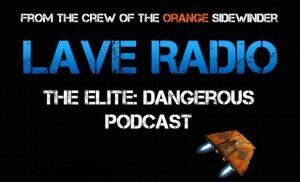 Celebrating the launch of Elite: Dangerous, the intrepid crew of the the infamous orange Sidewinder decide to meet up in the Lave system to bring you a special ‘Live from Lave’ broadcast. The signal is out, Commanders are converging on Lave Station for the show of the century. Don’t miss it, listen live! The broadcast will start at 9pm GMT. Elite Dangerous, Elite: Dangerous Launch, Lave Radio, Live, Live from Lave. Bookmark.